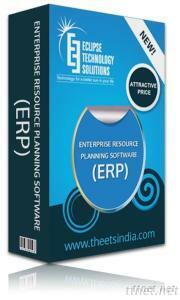 With years of experience and hundreds of clients – ETS rules with its ERP Software. Geared with proven and trusted platform, our ERP software is built to address the largest of organizations across manufacturing, sales, finance, services as well as HR. Yes! Your ERP software cares about your ultimate requirements, which distinctly includes collecting, storing, managing and interpreting your important data. Under your business activities – you can plan your product display, manage your cost and development prospects, manage your marketing and sales platforms, manages your inventories as well as shipment. With increasing market competition – you need to delve deep in ensuring the best for your organizational output. Grab our seasonal offer today! Get FLAT 20% OFF on your ERP Software today!